"A serious and cultivated Beethoven player"
"A distinguished name among pianists"
For the last several weeks, the Atlanta Symphony Orchestra concerts have been a sell-out. Featuring all of the piano concertos of Beethoven, the popular series of concerts has also benefited from the residency of soloist Jorge Federico Osorio, who has shown both a prodigious talent and memory for the music. This weekend’s three concerts also feature the very popular Mozart Requiem. The locally well-liked Roberto Abbado, a frequent ASO guest-conductor, returned to lead this program. The 1801 piano concerto was greatly influenced by Mozart and Haydn, yet Beethoven added his own unmistakable and unique harmonic shifts. At its heart it is in traditional sonata form. The first movement Allegro con brio occupies nearly half of the concerto and provides ample opportunity for pianistic showmanship in the movement ending. Osorio continued to impress here, as he had in his previous Beethoven performances, with his transparent and elegant playing. The second movement Largo is in ternary form and showcases the composer’s prodigious ability at musical development. It is a very lyrical movement that was lushly warm in this performance. 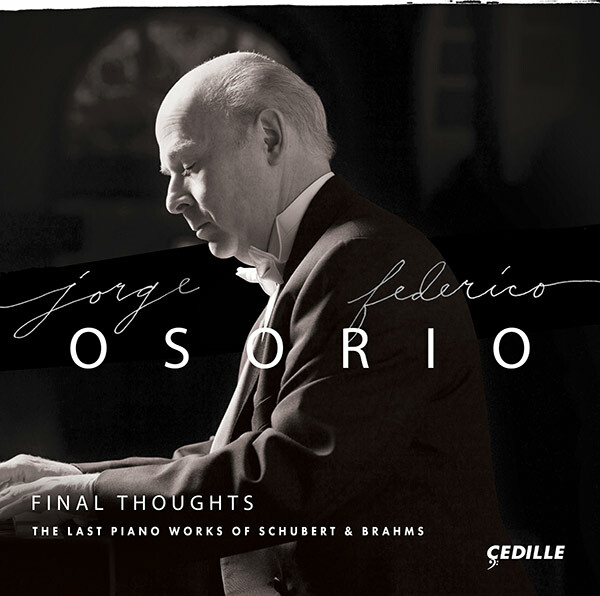 Osorio’s light, precise touch was complimented perfectly by a crisp orchestral accompaniment that never overwhelmed and matched the intensity of the piano nicely. The Rondo finale opens strongly with an upbeat theme in the piano, which then is picked up by the orchestra and eventually traded back and forth between solo and orchestra as it undergoes development. There are two short cadenzas and the movement ends with a quiet piano melody, which is soon overridden by a forceful orchestral finale. This was a startlingly good performance. Because the stage was set up to accommodate the nearly 200-voice chorus to follow, the small-ish orchestra and piano were moved forward, which gave a pleasingly tight and integrated sound. Osorio plays every phrase as if it is the most important; it is a precise approach, yet in his hands very musical. Abbado led a sympathetic orchestral accompaniment that never was overbearing or aggressive; it was a nearly perfect match to Osorio’s refined playing style. Further, Osorio is very businesslike when he performs; there are no keyboard histrionics to distract, which further encourages a focus on the music and not on the performer. Abbado, too, has a very straight-forward conducting technique that is elegantly low-keyed. The standout performance of the evening was the Beethoven piano concerto, due primarily to the great partnership between Osorio and Abbado, as well as the soloist’s highly skilled and sensitive performance. Mr. Osorio has been a most welcome soloist over the last few weeks in Atlanta. VISIT THE PRESS PAGE For additional Beethoven cycle reviews.